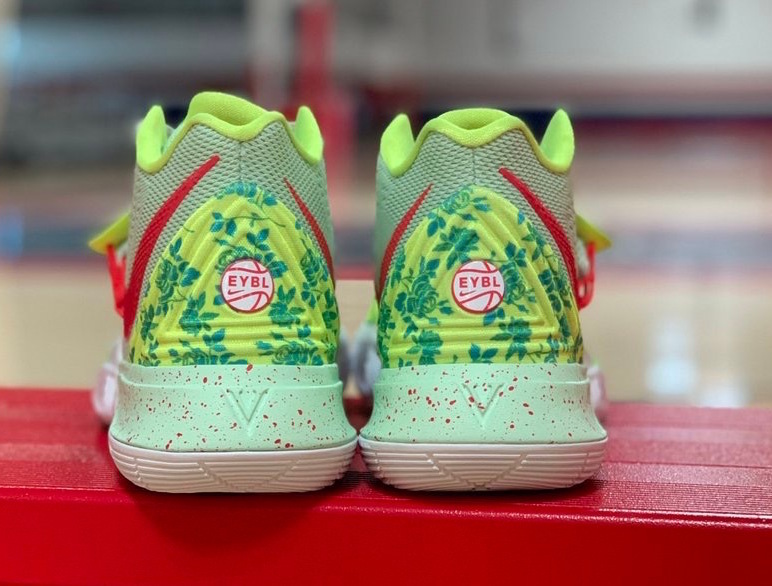 The 2019 EYBL basketball tournament (Elite Youth Basketball League) is set to start on April 26th and for the occasion Nike Basketball will have some exclusives. 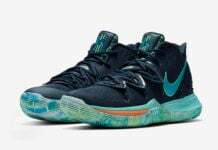 One of those will be the Nike Kyrie 5 EYBL. 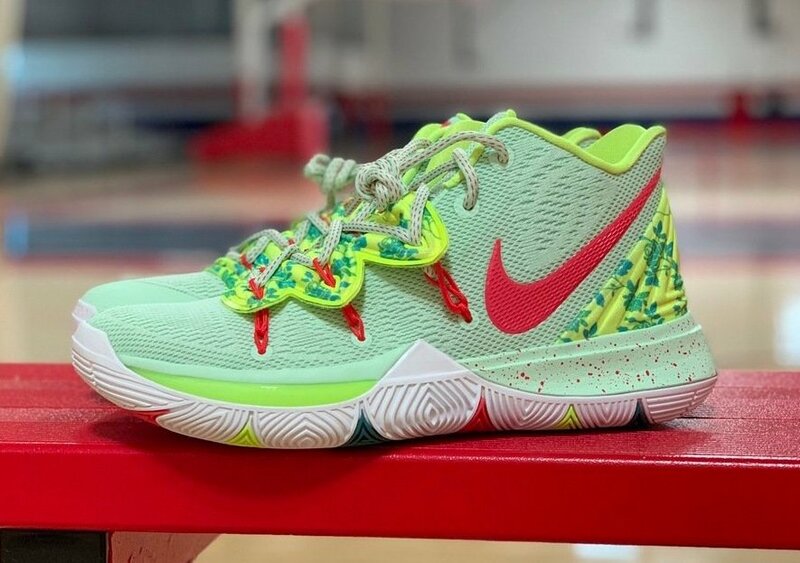 Looking closer this Nike Kyrie 5 features Light Green, almost Mint on the upper while Red lands on the Flywire and Swoosh. 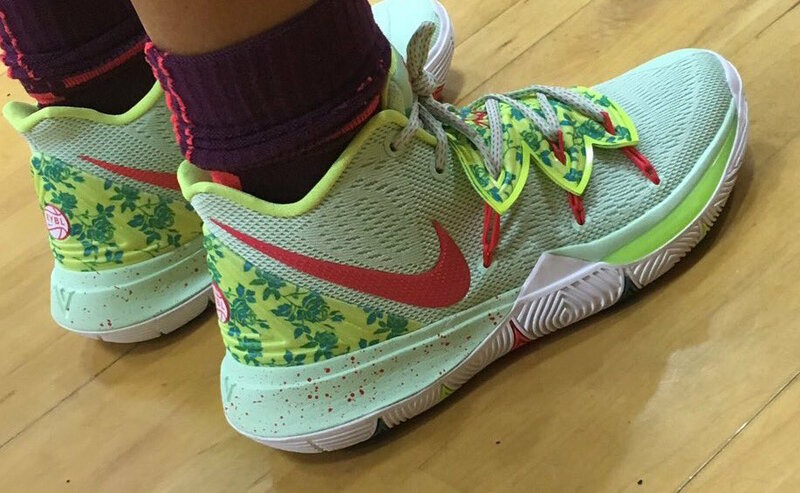 Following we have Neon Green on the Flytrap shroud, liner and heel which is covered in a floral print. 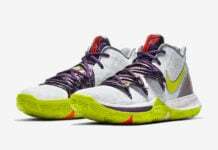 Other details includes speckled detailing on the midsole, White on the outsole and a EYBL basketball logo on the heel. 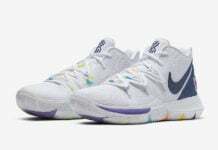 At the time of writing it isn’t known if the EYBL Nike Kyrie 5 will arrive at retailers or stay an exclusive. Once more information is available we will make sure to update. 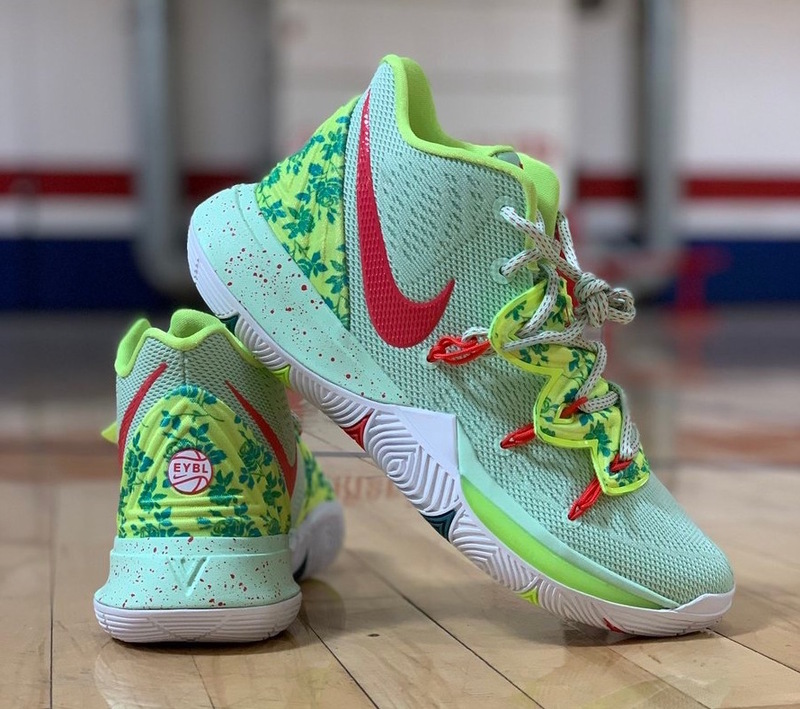 Update: Check out new images of the Girls EYBL Nike Kyrie 5 for the 2019 Elite Youth Basketball League. 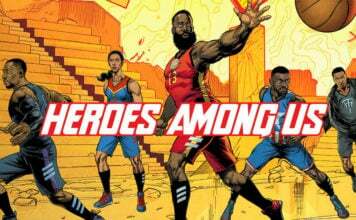 Currently a release is unknown.